It would appear I have now been bitten by the running bug. Although I still would say I just walk quickly. 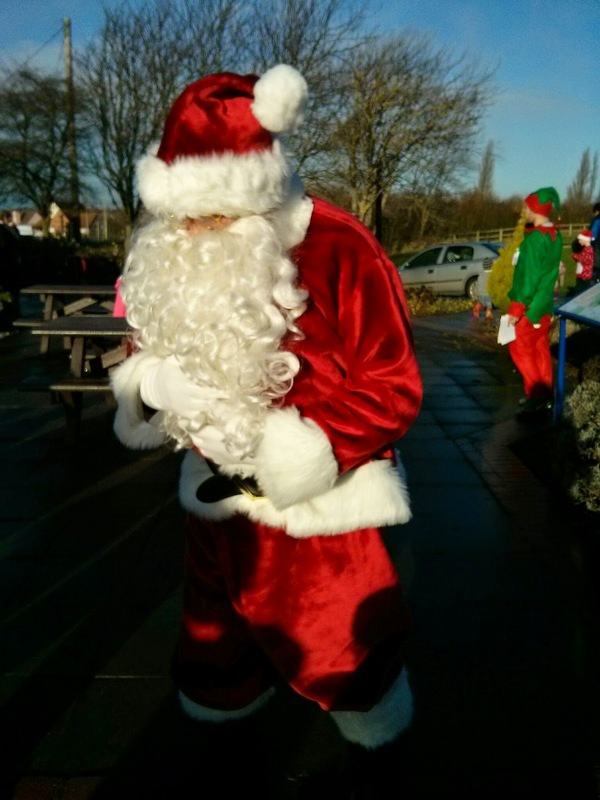 My running friend and I saw a local event organised by Wakefield Hospice and it sounded a lot of fun. A Santa dash. Santa dash had face painting, raffle, hot chocolate, cookies for the kids and of course a visit from the big man himself. Only he was arriving in style, via helicopter. This was something I knew the girls would love to see and I also knew that there was enough to keep them occupied whilst I ran the 2.5km lap around the lake, chasing Santa. 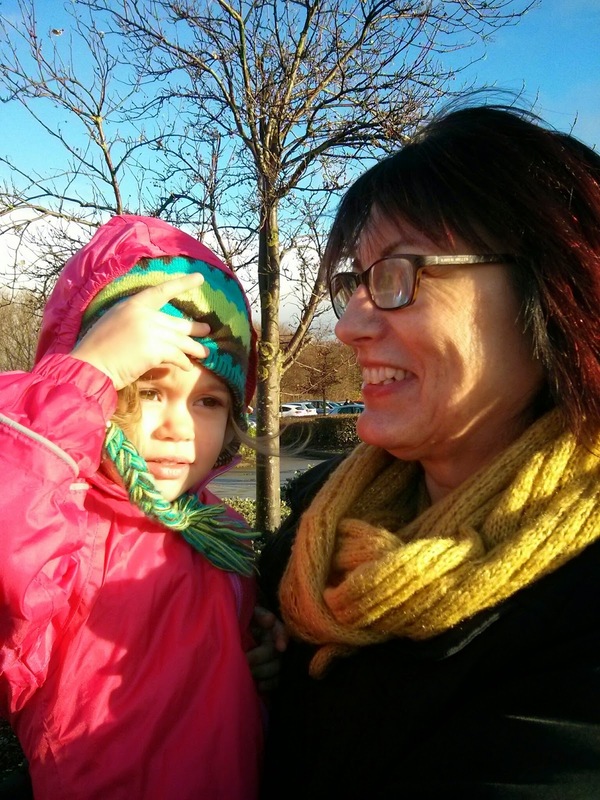 My Mum came with us and the girls were very excited, watching the skies for Father Christmas. It was a very cold morning but the girls were very excited. 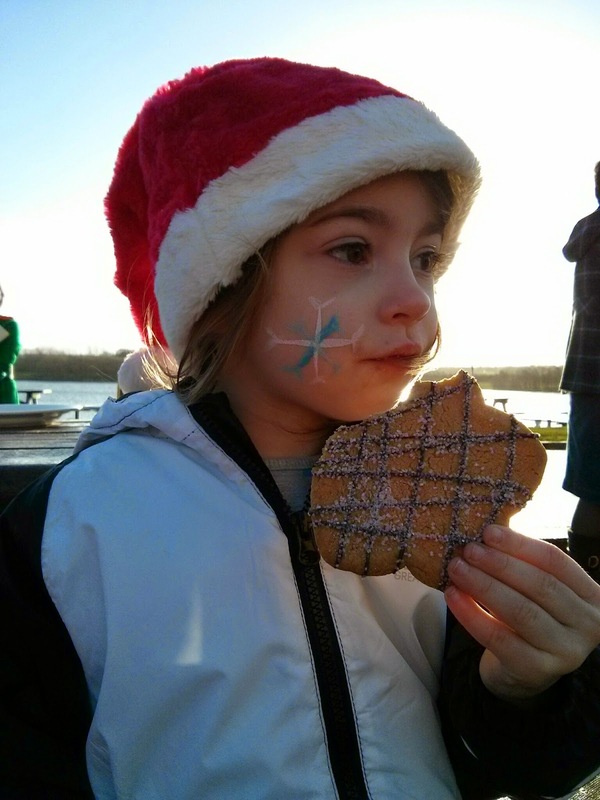 They had snowflakes painted on their faces and some very tasty gingerbread cookies whilst they watched the skies for Father Christmas. 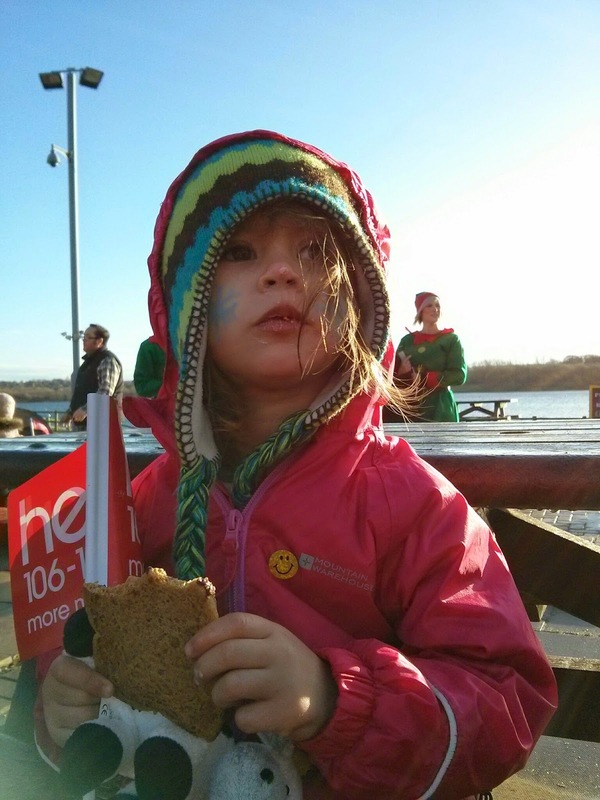 This day I love a Santa Dash.